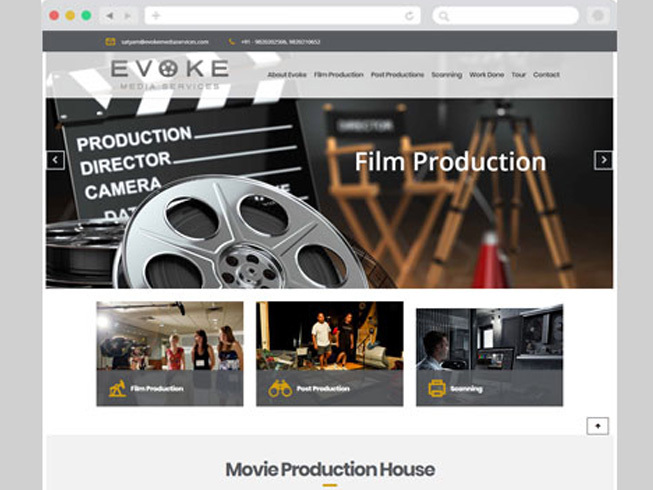 Evoke Media Services is a movie production house in India, which deeply understands that every film project has unique objectives & requirements. When they started doing SEO the website was first redesigned, it wasn’t really SEO friendly. However, 4 months down the road they still didn't have much traffic on the website. After several conversations with the Evoke Media team, we created a customized optimization package which was designed to achieve their goals and also fit their budget. We did a targeted keyword analysis for their entertainment industry and based on results and analysis of competition, we decided to target the most highly-searched keywords, in addition to a full-scale nationwide geo-targeted campaign. We saw increases in keyword rankings and organic search traffic nearly every month since we began. Seeing such steady growth is a great sign things are moving in the right direction!